This document, “Terms and Conditions of Merchant Service Agreement” (“Terms and Conditions”) accompanies the document “Global Payments Merchant Application” (“Merchant Application”). The Merchant Service Agreement (“Agreement”) includes these Terms and Conditions and the terms and conditions of the Merchant Application. The Member bank identified in such Merchant Application (“Member”) is a member of Visa USA, Inc.(“Visa”) and MasterCard International, Inc.(“MasterCard”). Global Payments Direct, Inc.(“Global”) is a registered independent sales organization of Visa, a member service provider of MasterCard and a registered acquirer for Discover Financial Services LLC (“Discover”). Merchant (or “you”) and Global Direct agree that the rights and obligations contained in these Card Services Terms and Conditions do not apply to the Member with respect to Discover transactions and Switched Transactions (as defined below). To the extent Merchant (or “you”) accepts Discover cards, the provisions in this Agreement with respect to Discover apply if Merchant does not have a separate agreement with Discover. In such case, Merchant will also be enabled to accept JCB and Diner’s Club cards under the Discover network and such transactions will be processed at the same fee rate as Merchant’s Discover transactions are processed. To the extent Merchant accepts Discover cards and has a separate agreement with Discover, Discover card transactions shall be processed as Switched Transactions (as defined below). Any references to the Debit Sponsor shall refer to the debit sponsor identified below. The Agreement is between Global Direct, the Member and the merchant identified in the Merchant Application (“Merchant”). Under the terms of the Agreement, Merchant will be furnished with the services and products described herein and in the Merchant Application, and selected by Merchant therein (collectively and individually, as applicable, the “Services”). Global Direct will be the sole and exclusive provider of the Services to Merchant during the term of this Agreement. Any Merchant accepted by Global Direct for card processing services agrees to be bound by the Agreement, including the terms of the Merchant Application and these Terms And Conditions as may be modified or amended in the future. A Merchant’s submission of a transaction to Global Direct Shall be deemed to signify Merchant’s acceptance of the Card Services Agreement, including the Terms and Conditions herein. Except as expressly stated in the first three paragraphs of Section 13, all terms and conditions of this Card Services Agreement shall survive termination to the extent necessary to protect Global Direct, Member’s and anyone acting on Global Direct or Member’s behalf’s rights herein. Credit Card processing services: Global Direct’s actions to the appropriate card associations and/or issuers (e.g., Visa, MasterCard, Diners, Discover); settlement; dispute resolution with cardholders’ banks; and transaction-related reporting, statements and products. Debit/ATM Processing Services: Global Direct has connected to the following debit card networks (“Networks”): Accel, AFFN, Interlink, MAC, Maestro, NYCE, Pulse, Star, and Tyme. Global Direct will provide Merchant with the ability to access the Networks that Global Direct has connected to for the purpose of authorizing debit card transactions at the point of sale from cards issued by the members of the respective Networks. Global Direct will provide connection to such Networks, terminal applications, settlement and reporting activities. EBT Transaction Processing Services: Global Direct offers electronic interfaces to Electronic Benefits Transfer (“EBT”) networks for the processing of cash payments or credits to or for the benefit of benefit recipients (“Recipients”). Global Direct will provide settlement and switching services for various Point of Sale transactions initiated through Merchant for the authorization of the issuance of the United States Department of Agriculture, Food and Nutrition Services (“FNS”) food stamp benefits (“FS Benefits”) and/or government delivered cash assistance benefits (“Cash Benefits, ”with FS Benefits, “Benefits”) to Recipients through the use of a state-issued card (“EBT Card”). With respect to Visa and MasterCard products, Merchant agrees to pay and Merchant’s account(s) will be charged pursuant to Section 5 of this Agreement for any additional fees incurred as a result of Merchant’s subsequent acceptance of transactions with any Visa or MasterCard product that it has not elected to accept. Merchant will permit holders of valid cards bearing the symbols of the cards authorized to be accepted by Merchant hereunder to charge purchases or leases of goods and services and the debt resulting there from shall be purchased hereunder, provided that the transaction complies with the terms of this Agreement. All indebtedness submitted by Merchant for purchase will be evidenced by an approved sales slip. Merchant will not present for purchase any indebtedness that does not arise out of a transaction between a cardholder and Merchant. Merchant agrees to follow the Card Acceptance Guide which is incorporated into and made part of this Agreement, and to be bound by the operating regulations and rules of Visa, MasterCard, Discover and any other card association or network organization covered by this Agreement, as any of the above referenced documents may be modified and amended from time to time. Merchant acknowledges that the Card Acceptance Guide is located on Global Direct’s website at www.globalpaymentsinc.com. Without limiting the generality of the foregoing, Merchant agrees to comply with and be bound by, and to cause any third party who provides Merchant with services related to payment processing or facilitates Merchant’s ability to accept credit and debit cards and who is not a party to this Card Services Agreement to comply with and be bound by the rules and regulations of Visa, MasterCard, Discover and any other card association or network organization related to cardholders and transaction information security, including without limitation, all rules and regulations imposed by the Payment Card Industry (PCI) Security Standards Council (including without limitation the PCI Data Security Standard), Visa’s Cardholder Information Security Program, MasterCard’s Site Data Protection Program, and Payment Application Best Practices. Merchant also agrees to cooperate at its sole expense with any request for an audit or investigation by Global Direct, Member, a card association or network organization in connection with cardholder and transaction information security. Without limiting the generality of the foregoing, Merchant agrees that it will use information obtained from a cardholder in connection with a card transaction solely for the purpose of processing a transaction with that cardholder or attempting to re-present a chargeback with respect to such transaction. Merchant will indemnify and hold Global Direct, Member and anyone acting on Global Direct or Member’s behalf harmless from any fines and penalties issued by Visa, MasterCard, Discover or any card association or network organization and any other fees and costs arising out of or relating to the processing of transactions by Global Direct and Member at Merchant’s location(s) and will reimburse Global Direct for any losses incurred by Global Direct with respect to any such fines, penalties, fees and costs. Merchant also agrees that it will comply with all applicable laws, rules and regulations related to the truncation or masking of cardholder numbers and expiration dates on transaction receipts from transactions processed at Merchant’s location(s), including without limitation the Fair and Accurate Credit Transactions Act and applicable state laws (“Truncation Laws”). As between Merchant, on the one hand, and Global Direct and Member, on the other hand, Merchant shall be solely responsible for complying with all Truncation Laws and will indemnify and hold Global Direct and Member harmless from any claim, loss or damage resulting from a violation of Truncation Laws as a result of transactions processed at Merchant’s location(s). Global Direct may, from time to time, issue written directions (via mail or Internet) regarding procedures to follow and forms to use to carry out this Agreement. These directions and the terms of the forms are binding as soon as they are issued and shall form part of these Terms and Conditions of the Agreement. Such operating regulations and rules may be reviewed upon appointment at Global Direct’s designated premises and Merchant acknowledges that it has had the opportunity to request a review and/or review such operating regulations and rules in connection with its execution of this Card Services Agreement. Merchant shall adequately display the card issuer service marks and promotional materials supplied by Global Direct. Merchant shall cease to use or display such service marks immediately upon notice from Global Direct or upon termination of this Agreement. 5. PAYMENT, CHARGES AND FEES. Fees and charges payable by Merchant shall be as set forth in the Merchant Application. Merchant will be paid for indebtedness purchased under this Agreement by credit to Merchant’s account(s). Merchant’s account(s) will be credited for the gross amount of the indebtedness deposited less the amount of any credit vouchers deposited. Merchant shall not be entitled to credit for any indebtedness that arises out of a transaction not processed in accordance with the terms of this Card Services Agreement or the rules and regulations of a card association or network organization. Availability of any such funds shall be subject to the procedures of the applicable financial institution. Chargebacks and adjustments will be charged to Merchant’s account(s) on a daily basis. Merchant agrees to pay and Merchant’s account(s) will be charged for the discount, fees, chargebacks and other fees and charges described in this Agreement. Merchant also agrees to pay and Merchant’s account(s) will be debited for all fees, arbitration fees, fines, penalties, etc. charged or assessed by the card associations or network organizations on account of or related to Merchant’s processing hereunder, including without limitation with regards to any third party who provides Merchant with services related to payment processing or facilitates Merchant’s ability to accept credit and debit cards and who is not a party to this Card Services Agreement. If any type of overpayment to Merchant or other error occurs, Merchant’s account(s) may be debited or credited, without notice, and if Merchant’s account(s) do not contain sufficient funds, Merchant agrees to remit the amount owed directly to Global Direct. Merchant agrees not to, directly or indirectly, prevent, block or otherwise preclude any debit by Global Direct or Member to Merchant’s account which is permitted 2 of 10 revision 01/10hereunder. Merchant represents and warrants that no one other than Merchant has any claim against such indebtedness except as authorized in writing by Member and Global Direct. Merchant hereby assigns to Member and Global Direct all of its right, title, and interest in and to all indebtedness submitted hereunder and agrees that Member and Global Direct have the sole right to receive payment on any indebtedness purchased hereunder. 6. EQUIPMENT AND SUPPLIES/THIRD PARTY SERVICES. Merchant agrees that it will not acquire any title, copyrights, or any other proprietary right to any advertising material; leased equipment including imprinters, authorization terminals, or printers; software; credit card authenticators; unused forms; and Merchant deposit plastic cards provided by Global Direct in connection with this Card Services Agreement. Merchant will protect all such items from loss, theft, damage or any legal encumbrance and will allow Global Direct and its designated representatives reasonable access to Merchant’s premises for their repair, removal, modification, installation and relocation. Merchant acknowledges that any equipment or software provided under this Agreement is embedded with proprietary technology (“Software”). Merchant shall not obtain title, copyrights or any other proprietary right to any Software. At all time, Global Direct or its suppliers retain all rights to such Software, including but not limited to updates, enhancements and additions. Merchant shall not disclose such Software to any party, convey, copy, license, sublicense, modify, translate, reverse engineer, decompile, disassemble, tamper with, or create any derivative work based on such Software. Merchant’s use of such Software shall be limited to that expressly authorized by Global Direct. Global Direct’s suppliers are intended third party beneficiaries of this Agreement to the extent of any terms herein pertaining to such suppliers’ ownership rights; such suppliers have the right to rely on and directly enforce such terms against Merchant. The operating instructions will instruct Merchant in the proper use of the terminals, and Merchant shall use and operate the terminals only in such manner. If Merchant has purchased the maintenance/help desk service hereunder for its terminals, Merchant will promptly notify Global Direct of any equipment malfunction, failure or other incident resulting in the loss of use of the equipment or need for repair or maintenance, whereupon Global Direct will make the necessary arrangements to obtain required maintenance. Merchant is responsible for shipping costs. Merchant shall cooperate with Global Direct in its attempt to diagnose any problem with the terminal. In the event the Merchant’s terminal requires additional Software, Merchant is obligated to cooperate and participate in a dial in down line load procedure. With respect to any item of equipment leased to Merchant by Global Direct, Merchant will not be liable for normal wear and tear, provided, however, that Merchant will be liable to Global Direct in the event that any leased item of equipment is lost, destroyed, stolen or rendered inoperative. Merchant will indemnify Global Direct against any loss arising out of damage to or destruction of any item of equipment provided hereunder for any cause whatsoever. Merchant also agrees to hold harmless and indemnify Global Direct for any costs, expenses, and judgments Global may suffer, including reasonable attorney’s fees, as a result of Merchant’s use of the equipment provided hereunder. Any unused equipment in its original packaging purchased from Global hereunder may be returned to Global Direct at Merchant’s expense within 60 days of receipt. Merchant shall receive a refund of any money paid in connection therewith subject to a re-stocking fee of an amount equal to 20 percent of the total purchase price for the returned equipment. No refunds shall be issued for any equipment returned after 60 days. Merchant acknowledges that some of the services to be provided by Global Direct and Member hereunder may be provided by third parties. Merchant agrees that except for its right to utilize such services in connection with this Card Services Agreement, it acquires no right, title or interest in any such services. Merchant further agrees that it has no contractual relationship with any third party providing services under this Card Services Agreement and that Merchant is not a third party beneficiary of any agreement between Global Direct or Member, as applicable, and such third party. Merchant may not resell the services of any third party providing services under this Card Services Agreement to any other party. Merchant agrees to furnish Global Direct and Member such financial statements and information concerning Merchant, its owners, principals, partners, proprietors or its affiliates as Global Direct may from time to time request. Global Direct, or its duly authorized representatives, may examine the books and records of Merchant, including records of all indebtedness previously purchased or presented for purchase. Merchant agrees to retain copies of all paper and electronic sales slips and credit slips submitted to Global Direct for a period of two years from submission, or such longer period of time as may be required by the operating rules or regulations of the card associations or network organizations, by law, or by Global Direct as specifically requested in writing in individual cases. Merchant agrees to provide Global Direct and Member 60 days prior written notice of its (a) transfer or sale of any substantial part (ten percent(10%) or more) of its total stock, assets and/or to liquidate; or (b) change to the basic nature of its business, or (c) provided that Merchant has not indicated on the Merchant Application that it accepts mail order, telephone order, or internet-based transactions, conversion of all or part of the business to mail order sales, telephone order sales, or to other sales where the card is not present and swiped through Merchant’s terminal. Upon the occurrence of any such event, the terms of this Agreement may be modified to address issues arising there from, including but not limited to requirements of applicable card associations or network organizations. be transferred by Global Direct without notice to Merchant. Merchant agrees that the rights and obligations of Member hereunder may be transferred to any other member without notice to Merchant. Merchant acknowledges that the transferable rights of Global Direct and Member hereunder shall include, but shall not be limited to, the authority and right to debit the Merchant’s account(s) as described herein. Merchant warrants and represents to Global Direct and Member: (a) that each sales transaction delivered hereunder will represent a bona fide sale to a card holder by Merchant for the amount shown on the sales slip as the total sale and constitutes the binding obligation of the card holder, free from any claim, demand, defense, setoff or other adverse claim whatsoever; (b) that each sales slip or other evidence of indebtedness will accurately describe the goods and services which have been sold and delivered to the card holder or in accordance with his instructions; (c) that Merchant will comply fully with all federal, state and local laws, rules and regulations applicable to its business; (d) that Merchant will fulfill completely all of its obligations to the cardholder and will resolve any customer dispute or complaint directly with the card holder; (e) that the signature on the sales slip will be genuine and authorized by cardholder and not forged or unauthorized; (f) that the sales transaction shall have been consummated and the sales slip prepared in full compliance with the provisions of the Card Acceptance Guide and the operating regulations and rules of the applicable card association or network organization, as amended from time to time; (g) provided that Merchant has not indicated on the Merchant Application that it accepts mail order, telephone order, or internet-based transactions, that none of the sales transactions submitted hereunder represent sales by telephone, or mail, or Internet, or where the card is not physically present at the Merchant’s location and swiped through Merchant’s terminal, unless Merchant is specifically authorized in writing by Global Direct to submit such sales slips for purchase, (h) to the extent Merchant has indicated on the Merchant Application that it accepts mail order, telephone order, or internet-based transactions, Merchant shall not submit such a transaction to Global Direct and Member for processing until the goods and/or services are shipped or performed, as applicable, unless otherwise permitted by the card associations or network organizations, (i) that none of the sales transactions submitted hereunder for purchase represent sales to any principal, partner, proprietor, or owner of Merchant, (j) that, without limiting the generality of the foregoing, each sales transaction submitted hereunder and the handling, retention, and storage of information related thereto, will comply with the rules and regulations of Visa, MasterCard, Discover and any other card association or network organization related to card holder and transaction information security, including without limitation Payment Card Industry (PCI) Data Security Standards, Visa’s Cardholder Information Security Program and MasterCard’s Site Data Protection Program, and (k) that all of the information contained in this Merchant Application and Card Service Agreement is true and correct. In the event that any of the foregoing warranties or representations is breached, the affected sales slips or other indebtedness may be refused, or prior acceptance revoked and charged back to the Merchant. Furthermore, if Merchant submits for purchase hereunder a sales transaction that is not the result of a sale of Merchant’s goods or services offered to the general public or if Merchant submits any sales transactions for purchase hereunder which represents a sale to any principal, partner, proprietor, or owner of Merchant, such sales transaction may be refused or charged back. Merchant must notify Global Direct if Merchant elects to use the terminal service of American Express, Novus, or any other third party provider. If Merchant elects to use a third-party terminal provider, that provider becomes Merchant’s agent for the delivery of card transactions to Global via the applicable card processing network. Merchant agrees to assume full responsibility and liability for any failure of such agent to comply with the operating regulations and rules of the applicable card association or network organization, including without limitation any violation, which results in a chargeback to the Merchant. Merchant also agrees that the obligation hereunder to reimburse the Merchant for the value of the card transactions captured by an agent is limited to the value of the transactions (less applicable fees) received by the card processing network from the agent. NEITHER MEMBER, NOR GLOBAL DIRECT, NOR ANY SUPPLIER MAKES ANY REPRESENTATIONS OR WARRANTIES, EXPRESS OR IMPLIED, INCLUDING WITHOUT LIMITATION ANY WARRANTY OF MERCHANTABILITY OR FITNESS FOR A PARTICULAR PURPOSE WITH RESPECT TO ANY TERMINAL, ANY EQUIPMENT FURNISHED IN CONNECTION THEREWITH, OR ANY OF THE SERVICES FURNISHED HEREUNDER. Merchant agrees to satisfy directly with the card holder any claim or complaint arising in connection with the card sale. Merchant agrees to indemnify and hold Global Direct and Member harmless from and against any and all liabilities, losses, claims, damages, disputes, offsets, claims or counterclaims made by a cardholder or any other person or entity with regard to indebtedness sold by Merchant hereunder or any other Service provided hereunder. Neither Member nor Global Direct shall be liable for failure to provide the Services if such failure is due to any cause or condition beyond such party’s reasonable control. Such causes or conditions shall include, but shall not be limited to, acts of God or of the public enemy, acts of the Government in either its sovereign or contractual capacity, fires, floods, epidemics, quarantine restrictions, strikes, shortages of labor or materials, freight embargoes, unusually severe weather, breakdowns, operational failures, electrical power failures, communication failures, unavoidable delays, or other similar causes beyond such party’s control. The liability of Global Direct and Member for any loss hereunder, including but not limited to damages arising out of any malfunction of the equipment or the failure of the equipment to operate, the unavailability or malfunction of the Services, personal injury, or property damage, shall, in the aggregate, be limited to actual, direct, and general money damages in an amount not to exceed one (1) month’s average charge paid by Merchant hereunder (exclusive of interchange fees, assessments, and any other fees or costs that are imposed by a third party in connection with Merchant’s payment processing) for Services during the previous twelve (12) months or such lesser number of months as shall have elapsed subsequent to the effective date of this Agreement. This shall be the extent of Global’s and Member’s liability in the event of any alleged default by Global Direct or Member arising out of or relating in any way to this Agreement, including alleged acts of negligence, breach of contract, or otherwise and regardless of the form in which any legal or equitable action may be brought against Global Direct or Member, whether contract, tort or otherwise, and the foregoing shall constitute Merchant’s exclusive remedy. Under no circumstances shall Global Direct or Member be liable for any lost profits, lost interest, or for special, consequential, punitive or exemplary damages, including but not limited to, damages arising out of placement of a Merchant’s name on any terminated merchant list for any reason, even if Global Direct or Member has been advised of the possibility of such damages. It is agreed that in no event will Global Direct or Member be liable for any claim, loss, billing error, damage, or expense caused by Global Direct’s or Member’s performance or failure to perform hereunder which is not reported in writing to Global Direct by Merchant within 60 days of such failure to perform or, in the event of a billing error, within 90 days of the date of the invoice or applicable statement. Merchant expressly waives any such claim that is not brought within the time periods stated herein. This Agreement shall remain in full force and effect for an initial term of three (3) years. This Agreement shall be automatically extended for successive one (1) year periods on the same terms and conditions expressed herein, or as may be amended, unless Merchant gives written notice of termination as to the entire Agreement or a portion thereof at least 60 days prior to the expiration of the initial term or any extension or renewals thereof, in which case this Agreement will terminate at the end of the then-current term. Notwithstanding anything to the contrary set forth herein, in the event Merchant terminates the Agreement in breach of this Section 13, all monthly fees assessed to Merchant under the Agreement and due to Global Direct for the remainder of the then existing term of the Agreement, including all minimum monthly fee commitments, shall be immediately due and payable to Global Direct, and Merchant hereby authorizes Global Direct to deduct the greater of (a) $295 (see Welcome Letter for exact cancellation fees) and (b) all remaining monthly fees (provided in no event shall either such amount exceed the maximum amount permitted by applicable state law) from Merchant’s account referenced in Section 5, or to otherwise withhold the total amount from amounts due to Merchant from Global Direct, immediately on or after the effective date of termination. If the Merchant’s account does not contain sufficient funds for the debit or the amount cannot be withheld by Global Direct from amounts due to Merchant, Merchant shall pay Global Direct the amount due within ten (10) days of the date of Global Direct’s invoice for same. The payment of accelerated monthly fees as described here is not a penalty, but rather is hereby agreed by the parties to be a reasonable amount of liquidated damages to compensate Global Direct for its termination expenses and all other damages under the circumstances in which such amounts would be payable. Such amounts shall not be in lieu of but in addition to any payment obligations for Services already provided hereunder (or that Global Direct may continue to provide), which shall be an additional cost, and any and all other damages to which Global Direct may be entitled hereunder. Notwithstanding the foregoing, Global Direct may terminate this Agreement or any portion thereof upon written notice to Merchant. Furthermore, Global Direct may terminate this Agreement at any time without notice upon Merchant’s default in performing under any provision of this Agreement, upon an unauthorized conversion of all or any part of Merchant’s activity to mail order, telephone order, or to any activity where the card is not physically present and swiped through the Merchant’s terminal, upon any failure to follow the Card Acceptance Guide or any operating regulation or rule of a card association or network organization, upon any misrepresentation by Merchant, upon commencement of bankruptcy or insolvency proceedings by or against the Merchant, or in the event Global Direct reasonably deems itself insecure in continuing this Agreement. In the event that Global Direct and Member breach the terms and conditions hereof, the Merchant may, at its option, give written notice to Global Direct and Member of its intention to terminate this Agreement unless such breach is remedied within 30 days of such notice. Failure to remedy such a breach shall make this Agreement terminable, at the option of the Merchant, at the end of such 30 day period unless notification is withdrawn. Any Merchant deposit of sales or credit slips that is accepted by Global Direct and Member or by a designated depository after the effective date of termination will be returned to Merchant and will not be credited (or debited) to its account(s). If the deposit has already been posted to Merchant’s account(s), said posting will be reversed and the deposit returned to Merchant. Termination of this Agreement shall not affect Merchant’s obligations which have accrued prior to termination or which relate to any indebtedness purchased hereunder prior to termination, including but not limited to charge backs even if such charge backs come in after termination. In the event of termination, all equipment leased from Global Direct (but not from any other leasing agent), including but not limited to imprinters, terminals, and printers; all supplies; Card Acceptance Guides; and operating instructions must be returned immediately to Global at Merchant’s expense. Notwithstanding the foregoing, if within forty five (45) days of Merchant’s execution of this Agreement Merchant both provides NAB or Global with written notice that it wishes to terminate this Agreement immediately and, if applicable, returns to Global, or anyone acting on Global Direct or Member’s behalf, at Merchant’s expense any free terminals Merchant received in connection with this Agreement, Merchant shall not be responsible for the payment of the above-referenced accelerated monthly fees, but shall be responsible for compliance with all other terms and conditions set forth in this Agreement, including but not limited to payment for all fees incurred prior to the termination of this Agreement. If a card holder disputes any transaction, if a transaction is charged back for any reason by the card issuing institution, or if Global Direct or Member has any reason to believe an indebtedness previously purchased is questionable, not genuine, or is otherwise unacceptable, the amount of such indebtedness may be charged back and deducted from any payment due to Merchant or may be charged against any of Merchant’s accounts or the Reserve Account (as defined below). Merchant acknowledges and agrees that it is bound by the rules of the card associations and network organizations with respect to any chargeback. Merchant further acknowledges that it is solely responsible for providing Global Direct and Member with any available information to re- present a chargeback and that, regardless of any information it provides or does not provide Global Direct and Member in connection with a chargeback, or any other reason, Merchant shall be solely responsible for the liability related to such chargeback. A list of some common reasons for chargebacks is contained in the Card Acceptance Guide provided, however, that such list is not exclusive and does not limit the generality of the foregoing. If any such amount is uncollectible through withholding from any payments due hereunder or through charging Merchant’s accounts or the Reserve Account, Merchant shall, upon demand by Global Direct, pay Global Direct the full amount of the charge back. Merchant understands that obtaining an authorization for any sale shall not constitute a guarantee of payment, and such sales slips can be returned or charged back to Merchant like any other item hereunder. At any time, Global Direct and Member may, at their option, establish a reserve account to secure the performance of Merchant’s obligations under this Agreement to such party (“Reserve Account”). The Reserve Account may be funded, at Global Direct’s (or anyone acting on Global Direct’s behalf’s) sole discretion, through any or all of the following: (a) Direct payment by Merchant — At the request of Global Direct or Member, Merchant will deposit funds in the Reserve Account; (b) The proceeds of indebtedness presented for purchase; or (c) The transfer by Global Direct and Member into the Reserve Account of funds withdrawn from any of the accounts referred to in Section 5 or any other accounts, including certificates of deposit, maintained by Merchant or Merchant’s guarantor, if any, with any designated depository or other financial institution. Merchant and Merchant’s guarantor hereby grant Member a security interest in all said accounts and authorize Global Direct (to the extent authorized by Member) or Member to make such withdrawals at such times and in such amounts as it may deem necessary hereunder. Merchant and Merchant’s guarantor hereby instruct said financial institutions to honor any requests made by Global Direct and Member under the terms of this provision. Merchant and Merchant’s guarantor will hold harmless the financial institutions and indemnify them for any claims or losses they may suffer as a result of honoring withdrawal requests from Global Direct and Member. Merchant hereby agrees that Global Direct and Member may deduct from this Reserve Account any amount owed to such party in accordance with this Agreement. Any funds in the Reserve Account may be held until the later of (a) the expiration of any potentially applicable chargeback rights in respect of purchased indebtedness under the rules and regulations of the card associations or network organizations and (b) the period necessary to secure the performance of Merchant’s obligations under this Card Services Agreement, which holding period may extend beyond termination of this Agreement. The Merchant will not receive any interest on funds being held in a Reserve Account. Without limiting the generality of the foregoing, Merchant shall, upon termination of this Card Services Agreement, maintain the sum of at least five percent (5%) of gross sales for the 90 day period prior to termination to be held in a Reserve Account in accordance with the terms of this Card Services Agreement. Global Direct may, at its discretion upon termination of this Agreement, require that the Merchant maintain more than five percent (5%) of gross sales for the 90 day period prior to termination in a Reserve Account. Upon failure by Merchant to meet any of its obligations under this Agreement (including funding the Reserve Account), any of the accounts referred to in Section 5 or any other accounts belonging to Merchant or Merchant’s guarantor held by any designated depository (or by any other financial institution) may be debited without notice to Merchant, and Merchant and Merchant’s guarantor gives Member and Global Direct a security interest in all such accounts for these purposes. The scope of the security interest, and Merchant’s and Merchant’s guarantor’s instructions to its financial institutions to accept withdrawal requests from Global Direct and Member, and Merchant’s agreement to hold such institutions harmless and to indemnify them are described above in Section 15. Merchant also agrees that, in the event of a default by Merchant, Member has a right of setoff and may apply any of Merchant’s deposit balances or any other monies due Merchant from Member towards the payment of amounts due from Merchant under the terms of this Agreement. The rights stated herein are in addition to any other rights Global Direct and Member may have under applicable law. This Agreement may be amended only in writing signed by Global Direct, Member, and Merchant, except that (a) the Card Acceptance Guide and any and all fees, charges, and/or discounts (including without limitations non-qualified surcharge rates) may be changed immediately, or (b) Global Direct may mail Merchant either a notice describing amendments to this Agreement or an entirely new agreement, which amendments or new agreement will be binding upon Merchant if it deposits sales or credit slips after the effective date of such amendment or new agreement set forth in Global’s notice. No provision of this Agreement shall be deemed waived by any party unless such waiver is in writing and signed by the party against whom enforcement is sought. No failure to exercise, and no delay in exercising on the part of any party hereto, any right, power or privilege under this Card Services Agreement shall operate as a waiver thereof; nor shall any single or partial exercise of any right, power or privilege under this Card Services Agreement preclude any other or further exercise thereof or the exercise of any right, power, or privilege. Merchant authorizes Global Direct to order a credit report on Merchant or any owner, officer, shareholder, partner, proprietor, managing agent or guarantor of Merchant. Merchant hereby authorizes Member or any depository institution to release any financial information concerning Merchant or its accounts to Global Direct. Subsequent credit reports may be ordered in connection with updating, renewing or continuing this Agreement. Upon the written request of any individual who is the subject of a consumer credit report, Global Direct will provide the name and address of the consumer credit reporting agency furnishing such report, if any. Global Direct may exchange information about Merchant, Merchant’s owners, principals, partners, proprietors, officers, shareholders, managing agents and guarantors with Member, other financial institutions and credit card associations, network organizations and any other party. Merchant hereby authorizes Global Direct to disclose information concerning Merchant’s activity to any card association, network organizations, or any of their member financial institutions, or any other party without any liability whatsoever to Merchant. If any provision of this Agreement or portion thereof is held to be unenforceable, such a determination will not affect the remainder of this Agreement. Paragraph headings are included for convenience only and are not to be used in interpreting this Agreement. All notices required by this Agreement shall be in writing and shall be sent by telefax, by overnight carrier, or by regular or certified mail. All notices sent to Global Direct or Member shall be effective upon actual receipt by the Corporate Secretary of Global Payments Direct, Inc. 10 Glenlake Parkway North Tower, Atlanta, Georgia 30328. Any notices sent to Merchant shall be effective upon the earlier of actual receipt or upon sending such notice to the address provided by Merchant in the Merchant Application. The parties hereto may change the name and address of the person to whom all notices or other documents required under this Agreement must be sent at any time by giving written notice to the other party. The Agreement, including these Terms and Conditions and the Merchant Application, constitutes the entire Agreement between Merchant, Global Direct, and Member and supersedes all prior memoranda or agreements relating thereto, whether oral or in writing. 23. CHOICE OF LAW/ATTORNEY’S FEES/VENUE/JURY TRIAL WAIVER. Should it be necessary for Global or Member to defend or enforce any of its rights under this Agreement in any collection or legal action, Merchant agrees to reimburse Global and/or Member, as applicable, for all costs and expenses, including reasonable attorney’s fees, as a result of such collection or legal action. Without limiting the generality of the foregoing, Merchant agrees to reimburse Global and/or Member, as applicable, for all costs and expenses, including reasonable attorney’s fees, incurred by Global and/or Member in enforcing or defending its rights under this Section 24, without regard to whether there has been an adjudication on the merits in any such action. Merchant waives trial by jury with respect to any litigation arising out of or relating to this Agreement. Global, Member, and Merchant agree that any and all disputes or controversies of any nature whatsoever (whether in contract, tort or otherwise) arising out, relating to, or in connection with (a) this Agreement, (b) the relationships which result from this Agreement, or (c) the validity, scope, interpretation or enforceability of the choice of law and venue provisions of this Agreement, shall be governed by the laws of the State of Georgia, notwithstanding any conflicts of laws rules, and shall be resolved, on an individual basis without resort to any form of class action and not consolidated with the claims of any other parties. Global, Member, and Merchant agree that all actions arising out, relating to, or in connection with (a) this Agreement, (b) the relationships which result from this Agreement, or (c) the validity, scope, interpretation or enforceability of the choice of law and venue provision of this Agreement shall be brought in either the courts of the State of Georgia sitting in Fulton County or the United States District Court for the Northern District of Georgia, and expressly agree to the exclusive jurisdiction of such courts. This Card Services Agreement shall become effective only upon acceptance by Global Direct and Member, or upon delivery of indebtedness at such locations as designated by Global Direct for purchase, whichever event shall first occur. The financial institution set forth in the Merchant Application is designated by Merchant as a depository institution (“Depository”) for its credit card indebtedness. Such financial institution must be a member of an Automated Clearing House Association. Merchant authorizes payment for indebtedness purchased hereunder to be made by paying Depository therefore with instructions to credit Merchant’s accounts. Depository, Member, and/or Global Direct may charge any of Merchant’s accounts at Depository for any amount due under this Agreement. Global Direct must approve in writing any proposed changes to the account numbers or to the Depository. Merchant hereby authorizes Depository to release any and all account information to Global Direct or anyone acting on Global Direct’s behalf as Global Direct may request without any further authorization, approval or notice from or to Merchant. The acquisition and processing of sales slips hereunder is a financial accommodation and, as such, in the event Merchant becomes a debtor in bankruptcy, this Agreement cannot be assumed or enforced, and Global Direct and Member shall be excused from performance hereunder. 27. DEBIT/ ATM PROCESSING SERVICES: ADDITIONAL TERMS AND CONDITIONS. Debit Sponsor shall act as Merchant’s sponsor with respect to the participation of point-of-sale terminals owned, controlled, and/or operated by Merchant (the “Covered Terminals”) in each of the following debit card networks (“Networks”): Accel, AFFN, Alaska Option, CU24, Interlink, Maestro, NYCE, Pulse, Shazam, Star, and Tyme, which Networks may be changed from time-to-time by Debit Sponsor or Global Direct without notice. Merchant may also have access to other debit networks that do not require a sponsor. Global Direct will provide Merchant with the ability to access the Networks at the Covered Terminals for the purpose of authorizing debit card transactions from cards issued by the members of the respective Networks. Global Direct will provide connection to such Networks, terminal applications, settlement, and reporting activities. Merchant will comply with all federal, state, and local laws, rules, regulations, and ordinances (“Applicable Laws”) and with all by-laws, regulations, rules, and operating guidelines of the Networks (“Network Rules”). Merchant will execute and deliver any application, participation, or membership agreement or other document necessary to enable Debit Sponsor to act as sponsor for Merchant in each Network. Merchant agrees to utilize the debit card Services in accordance with the Card Services Agreement, its exhibits or attachments, and Global Direct’s instructions and specifications (including but not limited to the Card Acceptance Guide which is incorporated into and made a part of this Card Services Agreement), and to provide Global Direct with the necessary data in the proper format to enable Global Direct to properly furnish the Services. Copies of the relevant agreements or operating regulations shall be made available to Merchant upon request. Merchant shall not in any way indicate that Debit Sponsor endorses Merchant’s activities, products, or services. Debit Sponsor and Merchant are and shall remain independent contractors of one another, and neither they, nor their respective individual employees, shall have or hold themselves out as having any power to bind the other to any third party. Nothing contained in this Section shall be construed to create or constitute a partnership, joint venture, employer-employee, or agency relationship between Debit Sponsor and Merchant. In the event that Debit Sponsor’s sponsorship of Merchant in any Network is terminated prior to the termination of the Card Services Agreement, Global Direct may assign Debit Sponsor’s rights and obligations hereunder to a third party. All provisions in this Section necessary to enforce the rights and obligations of the parties contained in this Section shall survive the termination of Debit Sponsor’s debit sponsorship of Merchant under the Card Services Agreement. Debit Sponsor may assign this Agreement to any parent, subsidiary, affiliate, or successor-in- interest. DEBIT CARD MERCHANT Each debit card transaction will be assessed the network’s acquirer fee in addition to the debit card per item fee quoted in the Card Services Fee Schedule of the Merchant Application. 28. MERCHANT ACCEPTANCE OF EBT TRANSACTIONS: ADDITIONAL TERMS AND CONDITIONS. Merchant agrees to issue Benefits to Recipients in accordance with procedures specified herein, and in all documentation and user guides provided to Merchant by Global Direct, as amended from time-to- time (including but not limited to the Card Acceptance Guide which is incorporated into and made a part of this Card Services Agreement); and pursuant to the Quest Operating Rules (the “Rules”), as amended from time-to-time, issued by the National Automated Clearing House Association as approved by the Financial Management Service of the U.S. Treasury Department. Unless otherwise defined herein, all capitalized terms shall have the meanings ascribed them in the Rules. Merchant will provide each recipient a receipt of each Benefit issuance. Merchant will be solely responsible for Merchant’s issuance of Benefits other than in accordance with authorizations. Merchant agrees to comply with all the requirements, laws, rules and regulations pertaining to the delivery of services to Benefit Recipients and Benefit Recipient confidentiality. If Merchant issues FS Benefits under this Card Services Agreement, Merchant represents and warrants to Global Direct that Merchant is and FNS-authorized “Merchant” (as such term is defined in the Rules) and is not currently suspended or disqualified by FNS. Merchant agrees to secure and maintain at its own expense all necessary licenses, permit, franchises, or other authorities required to lawfully effect the issuance and distribution of Benefits under this Card Services Agreement, including without limitation, any applicable franchise tax certificate and non-governmental contractor’s certificate, and covenants that Merchant will not issue Benefits at any time during which Merchant is not in compliance with the requirements of any applicable law. Merchant agrees to hold Global Direct harmless from any costs of compliance or failure to comply with any such obligation by Merchant. Global Direct may terminate or modify the provision of Services to Merchant if any of Global Direct’s agreements with government EBT agencies are terminated for any reason or if any party threatens to terminate services to Global Direct due to some action or inaction on the part of Merchant. If any of these Card Services Terms & Conditions are found to conflict with Federal or State law, regulation or policy of the Rules, these Card Services Terms & Conditions are subject to reasonable amendment by Global Direct, the State or its EBT Service Provider to address such conflict upon ninety (90) days written notice to Merchant, provided that Merchant may, upon written notice, terminate the Card Services Agreement upon receipt of notice of such amendment. Nothing contained herein shall preclude the State from commencing appropriate administrative or legal action against Merchant or for making any referral for such action to any appropriate Federal, State, or local agency. Any references to “State” herein shall mean the State in which Merchant issues Benefits pursuant hereto. If merchant issues Benefits in more than one State pursuant hereto, then the reference shall mean each such State severally, not jointly. Merchant is hereby granted a limited non-exclusive, non-transferable license to use Discover brands, emblems, trademarks, and/or logos that identify Discover cards (“Discover Program Marks”). Merchant is prohibited from using the Discover Program Marks other than is expressly authorized in writing by Global Direct. 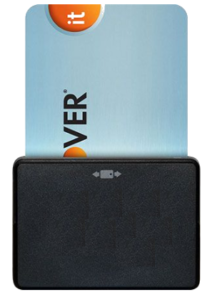 Merchant shall not use the Discover Program Marks other than to display decals, signage, advertising and other forms depicting the Discover Program Marks that are provided to Merchant by Global Direct pursuant to this Card Services Agreement or otherwise approved in advance in writing by Global Direct. Merchant may use the Discover Program Marks only to promote the services covered by the Discover Program Marks by using them on decals, indoor and outdoor signs, advertising materials and marketing materials; provided that all such uses by Merchant must be approved in advance by Global Direct in writing. Merchant shall not use the Discover Program Marks in such a way that customers could believe that the products or services offered by Merchant are sponsored or guaranteed by the owners of the Discover Program Marks. Merchant recognizes that it has no ownership rights in the Discover Program Marks and shall not assign to any third party any of the rights to use the Discover Program Marks. Under the Electronic Signatures in Global and National Commerce Act (E-Sign), this Card Services Agreement and all electronically executed documents related hereto are legally binding in the same manner as are hard copy documents executed by hand signature when (1) your electronic signature is associated with the Card Services Agreement and related documents, (2) you consent and intend to be bound by the Card Services Agreement and related documents, and (3) the Card Services Agreement is delivered in an electronic record capable of retention by the recipient at the time of receipt (i.e., print or otherwise store the electronic record). This Card Services Agreement and all related electronic documents shall be governed by the provisions of E-Sign. By pressing Submit, you agree (i) that the Card Services Agreement and related documents shall be effective by electronic means, (ii) to be bound by the terms and conditions of this Card Services Agreement and related documents, (iii) that you have the ability to print or otherwise store the Card Services Agreement and related documents, and (iv) to authorize us to conduct an investigation of your credit history with various credit reporting and credit bureau agencies for the sole purpose of determining the approval of the applicant for merchant status or equipment leasing. This information is kept strictly confidential and will not be released. 31. MID AND NON-QUALIFIED SURCHARGES/OTHER FEES. Merchant pricing appears in the Card Services Fee Schedule of the Merchant Application. T&E merchants (airline, car rental, cruise line, fast food, lodging, restaurant, travel agent, transportation) may have separate rates quoted for consumer and commercial (business) transactions. Transactions that do not clear as priced are subject to MID or non-qualified surcharges (MID/NQS) that are billed back to you on your monthly statement. The most predominate market sectors and applicable MID or non-qualified surcharge rates appear below. Most MID or non-qualified surcharges can be avoided by using products that support authorization and market data requirements established by the card associations and that are subject to change from time to time. Some MID or non-qualified surcharges occur on specific types of cards (including without limitation Visa Rewards Card, Visa Signature Card, Visa Signature Preferred Card, Visa Infinite Card, MasterCard Rewards Card. MasterCard World Card, MasterCard World Elite Card, Discover Rewards Card, and “foreign” cards issued outside the United States), if the merchant accepts credit cards. Unless your Card Services Fee Schedule specifically addresses commercial cards (i.e., Business Cards, Corporate Cards, Fleet Cards, GSA Cards, Purchase Cards), you will be billed back for the higher cost of acceptance of commercial cards; this is also unavoidable based on the card association requirement to accept all types of credit cards, if the merchant accepts credit cards, unless you are primarily a business-to-business supplier with corresponding pricing based on acceptance of commercial cards. The card associations require that information from the original authorization, including a life cycle identifier, be retained and returned with subsequent authorizations and/or the settled transaction data. The card associations validate this information as part of the clearing and settlement process. If authorization data is not retained and returned at settlement, then the transaction will not clear as priced and will incur MID/NQS. The items listed in this Section 31 are not and are not intended to be a comprehensive list of all instance in which non-qualified surcharges may apply. Non-qualified surcharges may apply in additional situations. All non-qualified surcharges include additional fees assessed by the applicable card association and Member or Global Direct. In addition, Merchant may be assessed additional fees which will be in addition to the fees stated on the Merchant Application, as follows: Merchant will also be assessed (a)Cross-Border fees and a U.S. Acquirer Support fee for international MasterCard and Maestro transactions and (b) an International Service Assessment fee and International Acquiring Fee for international Visa transactions, and (c) an International Processing fee and International Service fee for international Discover transactions. These fees, which are applicable to transactions between the merchant and a non-U.S. MasterCard, Maestro, Visa, or Discover card holder, will be displayed as a separate item on Merchant’s monthly statement and may include fees assessed by both the applicable card association and Member or Global Direct. Merchant will also be assessed a per transaction access fee for Visa, MasterCard and Discover transactions, which will be displayed as a separate item on Merchant’s monthly statement and may include fees by the applicable card association, Member, and Global Direct. Merchant may also be assessed a PCI fee, which will appear as a separate item on Merchant’s monthly statement. This fee is assessed by Member and Global Direct in connection with Member and Global Direct’s efforts to comply with the PCI Data Security Standard and does not ensure Merchant’s compliance with the PCI Data Security Standard or any law, rule or regulation related to cardholder data security. The payment of such fee shall not relieve Merchant of its responsibility to comply with all rules and regulations related to cardholder data security, including without limitation the PCI Data Security Standard. Merchant will also be assessed the following fees on Visa transactions: the Visa Misuse of Authorization System fee, which will be assessed on authorizations that are approved but never settled with the Merchant’s daily batch, the Visa Zero Floor Limit Fee, which will be assessed on settled transactions that were not authorized, and the Visa Zero Dollar Verification fee, which will be assessed on transactions where Merchant requested an address verification response without an authorization. These fees will be displayed as separate items on Merchant’s monthly statement and may include fees assessed by both the applicable card association and Member or Global Direct.All references to non-qualified surcharges in this Section 31 shall include both mid-qualified and non-qualified surcharges. If you are a Retail Merchant or a Restaurant Merchant with retail-only pricing (no Business Card Rate) and utilize a certified terminal product or electronic system for authorization and settlement through Global Direct, each consumer card transaction you submit which meets all of the following requirements will be priced at the rate quoted. Each transaction not processed as outlined, including without limitation retail commercial card transactions in addition to transactions using Discover Rewards Card, Visa Rewards Card, Visa Signature Card, Visa Signature Preferred Card, Visa Infinite Card, MasterCard Rewards Card, MasterCard World Card, MasterCard World Elite Card and all Commercial Cards, will be priced at the non-qualified rate quoted in the Merchant Application • Obtain a single electronic authorization with magnetic strip read or contactless data capture (electronic imprint) at the time of sale. • Obtain a single electronic authorization and settle for authorized amounts. • Obtain a cardholder signature (unless transaction is eligible for No Signature Required [NSR] program). • Settle and transmit batches same day via your terminal/electronic system. • The electronic authorization amount must be equal to the transaction amount on all Visa debit card transactions unless a Restaurant (MCC 5812), Fast Food (MCC 5814), Service Station (MCC 5541) or, Bar/Tavern (MCC 5513), Beauty/Barber Shop (MCC 7230), or Taxi/Limousines (MCC 4121). • The electronic authorization amount must be equal to the transaction amount on Discover retail transactions except that Taxi Limousines (MCC 4121) and Beauty/Barber Shop (MCC 7230) merchant transactions may vary up to 20%. Restaurant (MCC 5812), Fast Food (MCC 5814), Service Station (MCC 5541) or Bar/Tavern (MCC 5513) transactions may vary by more than 20% from the electronic authorization without incurring NQS. If you are a Restaurant Merchant MCC 5812 or Fast Food Merchant MCC 5814 and utilize a certified terminal product or electronic system for authorization and settlement through Global Direct, each consumer card transaction you submit which meets all of the following requirements will be priced at the rate quoted. Each transaction not processed as outlined, in addition to transactions using Discover Rewards Card, Visa Rewards Card, Visa Signature Card, Visa Signature Preferred Card, Visa Infinite Card, MasterCard Rewards Card, MasterCard World Card, and MasterCard World Elite Card will be priced at the non-qualified rate quoted in the Merchant Application. Commercial Card transactions that meet these requirements will be subject to the Business Card rate quoted in the Fee Schedule. Commercial Card transactions not processed in accordance with these requirements will be subject to the non-qualified rate quoted in the Merchant Application. • Obtain a single electronic authorization with magnetic strip read or contactless data capture (electronic imprint) at the time of sale. • Obtain a cardholder signature (unless transaction is eligible for NSR program). If you are an approved (certified) supermarket merchant and utilize a terminal or electronic system for authorization and settlement through Global Direct, each transaction you submit which meets all of the following requirements will be priced at the rate(s) quoted for Supermarket Credit Card and Supermarket Check Card. Each transaction not processed as outlined, in addition to transactions using Discover Rewards Card, Visa Rewards Card, Visa Signature Card, Visa Signature Preferred Card, Visa Infinite Card, MasterCard Rewards Card, MasterCard World Card, MasterCard World Elite and commercial cards, will be priced at the nonqualified rate quoted in the Merchant Application. • Obtain a magnetic strip read (card swipe/contactless data capture/electronic imprint) at the time of sale. • The electronic authorization amount must be equal to the transaction amount on all Visa debit card transactions. If you qualify as a Developing Market Merchant (as defined by Association guidelines from time to time) and utilize a terminal or electronic system for authorization and settlement through Global Direct, each transaction you submit which meets all the following requirements will be priced at the rates quoted. Any other transaction, including commercial card transactions, Discover Rewards Card, Visa Rewards Card, Visa Signature Card, Visa Signature Preferred Card, Visa Infinite Card, MasterCard Rewards Card, MasterCard World Card, and MasterCard World Elite Card, and non-magnetic stripe read foreign transactions will be priced at the non-qualified rate quoted in the Merchant Application In addition, each Visa transaction not processed as outlined, but transmitted same day or next day via your terminal/electronic system, will be priced at the non-qualified rate quoted in the Merchant Application. • Obtain a single electronic authorization. • Provide market data as required. See Note. NOTE: If card is not present and a magnetic stripe read does not occur, then Merchant may be required to comply with “Direct Marketer” market data requirements including AVS request on cardholder billing address at time of authorization. If card is present and cardholder signature is obtained, however the magnetic stripe is damaged, then Merchant may be required to obtain AVS match on cardholder billing address zip code. If you are a Direct Mail/Telephone Order Merchant (non-magnetic swipe read transactions), and utilize a certified terminal product or electronic system for authorization and settlement through Global Direct, each transaction you submit which meets all of the following requirements will be priced at the rate quoted. Any other transaction, including all foreign transactions and commercial card transactions in addition to transactions using Discover Rewards Card, Visa Rewards Card, Visa Signature Card, Visa Signature Preferred Card, Visa Infinite Card, MasterCard Rewards Card, MasterCard World Card, and MasterCard World Elite Card will be priced at the non-qualified rate quoted in the Merchant Application. • Obtain an electronic authorization and settle for authorized amounts (one reversal permitted on Visa transactions to make authorization amount equal to settle amount). • Address Verification Request in authorization on cardholder billing address. For Discover transactions, Merchant must obtain full address verification request on street number and/or 9 digit postal code. • CID verification for Discover merchants on non-recurring transactions. • Purchase date (settled date) is ship date. • Send order number with each transaction. • Send level 3 data (line item detail, sales tax, customer code) with every eligible commercial card transaction. NOTE: Card Not Present transactions involving one-time, recurring, or installment bill payment transactions are subject to additional card association requirements which must be complied with to avoid NQS. Electronic commerce transaction requirements are also subject to additional card association requirements which must be complied with to avoid NQS. Please refer to Card Acceptance Guide for additional requirements. If you are a Purchase Card Merchant (non-magnetic swipe read transactions) and utilize a certified terminal product or electronic system for authorization and settlement through Global Direct, each transaction you submit which meets the following requirements will be priced at the rate quoted. Each Visa transaction not processed as outlined, but transmitted same day or next day via your terminal/electronic system, will be priced at the non-qualified rate quoted in the Merchant Application. Each Visa business and commercial card transaction will be priced at the rate quoted plus 1.09%. Any other transaction that does not meet the following requirements, including without limitation foreign transactions, tax-exempt Visa Commercial transactions, Discover Rewards Card, Visa Rewards Card, Visa Signature Card, Visa Signature Preferred Card, Visa Infinite Card, MasterCard Rewards Card, MasterCard World Card, and MasterCard World Elite Card, will be priced at the non-qualified rate quoted in the Merchant Application. • Obtain an electronic authorization and settle for authorized amounts (one reversal permitted on Visa transactions to make authorization amount equal to settled amount). • Address Verification Request in authorization on cardholder billing address. • Send order number (customer code) with each transaction. • Send tax amount with every transaction. • Send Level 3 data (line item detail) with every eligible commercial card transaction. Sales tax exempt transactions will not be considered to meet these requirements unless they include Level 3 data (line item detail). If you are a Lodging or Auto Rental Merchant utilizing a terminal or electronic system for authorization and settlement through Global Direct, each consumer card transaction you submit which meets the following requirements will be priced at the rate quoted. Each transaction not processed as outlined, including without limitation non-magnetic stripe read foreign transactions, and transactions using Discover Rewards Card, Visa Rewards Card, Visa Signature Card, Visa Signature Preferred Card, Visa Infinite Card, MasterCard Rewards Card, MasterCard World Card, MasterCard World Elite Card will be priced at the rate plus 1.48%. Commercial Card transactions that meet these requirements will be subject to the Business Card rate quoted in the Fee Schedule. Commercial Card transactions not processed in accordance with these requirements will be subject to the non-qualified rate quoted in the Merchant Application. • Obtain a magnetic swipe read (card swipe/electronic imprint) at the time of check-in. • Obtain additional electronic authorizations or send partial reversals to bring total authorized amount within 15% of settled amount. Authorizations must meet card association requirements. • Obtain a cardholder signature for final transaction amount. • Purchase Date is hotel check-out date/auto return date. • Length of guest stay/rental in initial authorization. • Hotel Folio/Rental Agreement Number and check-in date/check-out date transmitted with each transaction. 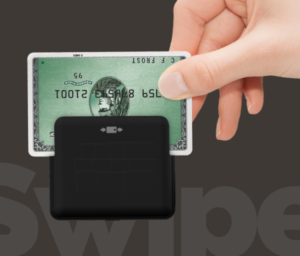 • Additional market data may be required for commercial card transactions to avoid NQS. Lodging merchants who (1) accept credit cards for advance payment; (2) guarantee reservations using a credit card; or (3) provide express check-out services to guests, must comply with additional card associate ion requirements for these services in addition to additional authorization and settlement market data requirements. Lodging merchants who subject charges to final audit and bill for ancillary/additional charges must comply with additional bank card association requirements for these services in addition to additional authorization and settlement market data requirements to avoid NQS. These transactions may also be subject to the rate quoted plus 1.48%. Please see Card Acceptance Guide for requirements and best practices for these transactions. Transactions which utilize our TouchTone Capture system for authorizations and settlement, settlebeyond 48 hours, or are not transmitted via the TouchTone Capture system, will be priced at the nonqualified rate quoted in the Merchant Application. Non-terminal/electronic paper deposit transactions will be priced at the rate quoted in the Card Services Fee Schedule of the Merchant Application. Each debit card transaction will be assessed the network’s acquirer fee in addition to the debit card per item fee quoted in the Card Services Fee Schedule of the Merchant Application. A magnetic stripe read is also referred to as an electronic imprint. If the magnetic stripe is damaged, then other validation means may be required to protect against counterfeit cards and merchant must obtain a manual imprint. Most products will prompt for cardholder billing zip code and perform an AVS check for a zip code match. CID verification is recommended for Discover key-entered transactions. Key-entered retail transactions are subject to higher interchange and NQS. The foregoing information regarding NQS is not comprehensive and is subject to change by the card association. Additional or different rates or fees may apply based on the details of a subject transaction. For Member contact: HSBC Bank USA, National Association, Merchant Support Group, P.O. Box 3263, Buffalo, NY 14240 Debit sponsorship provided by Wells Fargo Bank N.A.